51 results. Displaying results 41 - 51. 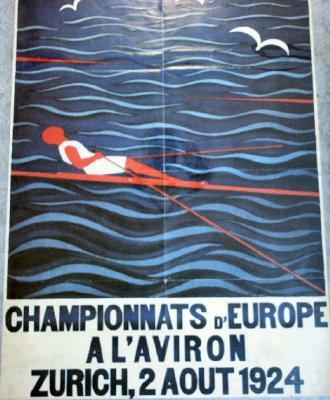 Modern reproduction of a french poster, for the European Rowing Championships in Zurich on the 2nd August 1924. Rowing poster "Estropadak 1990 Donostia Irailak 2-9 Septiembre", with painting by E Salaverria. London Transport Boat Race poster for Saturday 1st April 1933, with a picture of a mother and child watching the boat race. 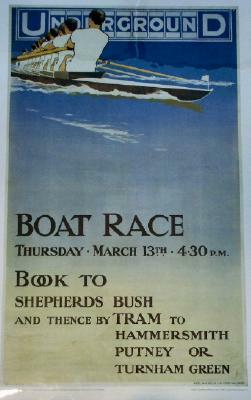 London Transport Boat Race poster for 6th April 1935, with a picture of two crews. A poster advertising the Olympic Games held in London, 1948. The 1948 Olympic Regatta was held at Henley. A poster for the Oxford v Cambridge Boat Races held in Henley on Thames on Sunday the 20th March 1988. The poster shows an abstract image of a rower sat in a black boat, which is mirrored on the right in turquoise. 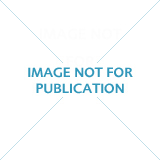 Sydney 2000 Olympic poster of the French rowing gold medalists, light weight coxless four. A poster advertising Spring Festival Regatta and new England Women's Championships. Lowell, Massachusetts May 19, 1974. 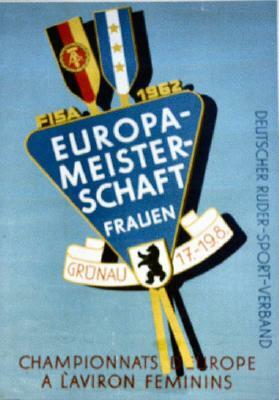 'European Womens Rowing Championships' - Colour poster for the European Womens Rowing Championships held in Grunau, Germany 17th - 19th August 1962. 'Boat Race 1913' - Reprint colour poster of original 1913 Boat Race Underground poster, designed by Charles Sharland.